Two of the best ways to make money online are from blogging, or choosing one of the best e-commerce platforms to build your online store. Getting these two tasks off the ground takes hard work, dedication, and some focus to be on the right path. Taking this line of work seriously will help dictate a path that leads you to that pile of cash at the end of the road. Many of the principles you need to immediately adapt to in order to success include: taking things seriously, being professional, checking your due diligence, and being descriptive in letting employers (clients) in on your previous works. So now that you have an idea of what it takes to make money online, we’re going to dive deeper into some more specifics, and explain some of the legit ways you can get the ball rolling. For blogging, the jobs you will be vying for are actual jobs but in a virtual setting. It’s no different than punching in on the clock at a nine-to-five job, as you also have to put in the time to get paid. As for selling online, using the right tools to get things up and running is vital. Believe it or not, there are many websites that will pay you to do various things such as shopping, taking surveys or testing their products. These are all great ways to pull in some extra cash. These are some of the paid blogging sites that a lot of independent online writing professionals use that are legit. Blogvertise – Blogvertise let’s potential users who own their own blog to sign up to make some cash. Once they approve your site, then you sit and wait for them to add any advertisers that fit the category your blog is listed in. There’s also this thing called a ‘Grab Bag’ that sometimes has assignments up for grabs. SponsoredReviews – Sponsored Reviews is a site where advertisers seek out bloggers to write about their products. This is also a site for bloggers who want to sell sponsored posts on their blogs. Once you’re account and profile is on SponsoredReviews, advertisers will visit your blog and if they’re interested in buying advertising space on your blog, then they’ll simply contact you. You can also approach advertisers directly. IZEA – IZEA has some elements of both Blogvertise and SponsoredReviews in it. Similar to those sites, IZEA also lets blogging or doing sponsored posts, you can earn money for tweeting, taking photos, and videos. Unfortunately, the way IZEA issues work is through how popular you are. So if you have a big Twitter following and a substantial amount of blog traffic, then this is for you. Payu2blog – These guys are really good. They’re sort of small, but they are excellent at picking out specific jobs tailored to the kind of blog you have. In addition to having blogging jobs they also offer ways to earn cash through your social media accounts, including Twitter, Instagram, Google+, and Pinterest. Fiverr – Fiverr is probably one of the most well-known and popular paying websites out there. It’s a great place to make some quick cash. The whole premise of the site was created from the concept of doing whatever humanly possible for the price of $5. You either pay $5 to get something done, or you charge $5. They call these forms of making money “gigs,” as you can offer your services however you choose. Listverse – Listverse pays $100 for each accepted post. The article must be a list, it must be at least 1,500 words and you must include at least 10 things. Other than that, you can get pretty creative with how you put together what they are asking. In addition to this list, you can also keep it simple by just selling things. There are a large number of online auctions like eBay or selling markets that provide you the free tools to sell your products. Many small merchants use this form of hustling to earn money and make a living. In order to get started doing this you’ll have to start you up a PayPal account. This is KEY. It is hugely important to have PayPal account for anything having to do with making money online, as they are the standard for what clients and buyers use to get you your money. Start an eBay account to sell used and new items. Keep in mind eBay owns PayPal, so signing up to both is like killing two birds with one stone. Besides, PayPal and eBay can be integrated to work with other online e-commerce platforms for seamless product promotion and transactions. Once you complete those two assignments then you start loading your products. Make sure you take it seriously by being professional. Load great pictures of products with very clear descriptions. Sell your stuff the way you’d like other merchants to sell to you. The same rules apply to other platforms that offer similar selling exposure as eBay such as standalone e-commerce services like Shopify, Squarespace, or Magento. These kinds of e-commerce platforms are what the majority of sellers use to set up their online stores to make money. 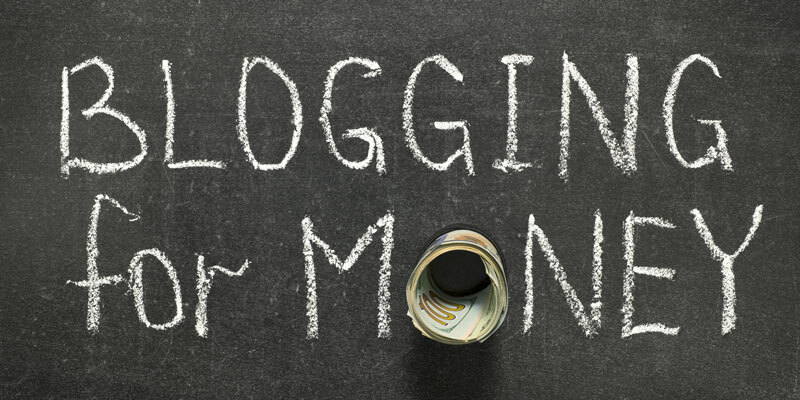 Now you have the basics on how you can start making money through blogging and online stores. Use the tools we’ve provided and you should be all set. After all, this is what you set out to accomplish, right? As long as you keep those principles we talked about previously embedded into your daily approach, you will be on your way to making some decent money online.